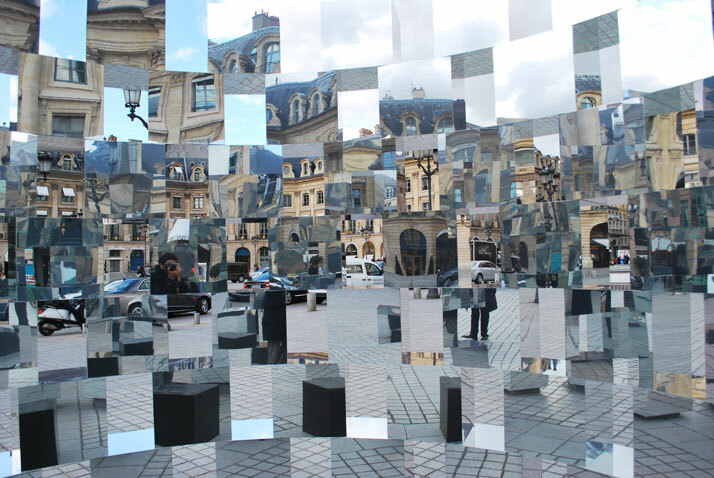 Place : Vendôme square, Paris. 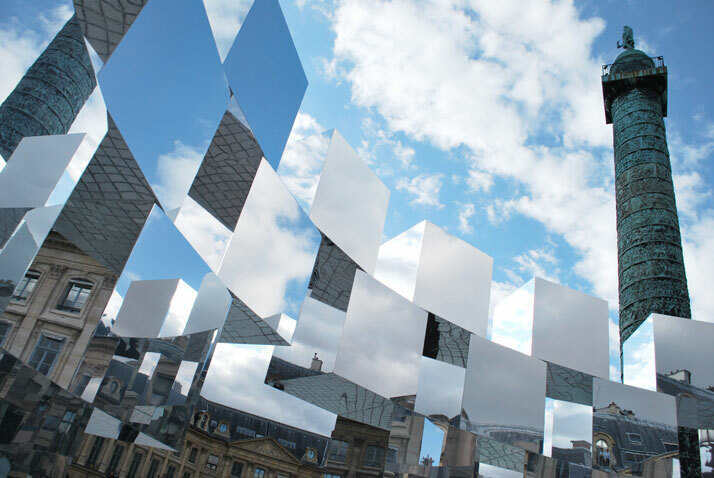 From 20-23 October on the occasion of FIAC 2011, passers by at the Place Vendome became the spectators of a monumental mirror installation produced by Arnaud Lapierre, in collaboration with Audi. This is an exceptional vision that reflects a newer version of a dynamic urban space that interacts with its environment. A film and photography devotee, Arnaud Lapierre’s creations are distinguished for their individuality and allure. His inspiration is always derived from the human mind as a source, in other words a type of a perceptual script that combines objects of emotion and desire, sensory translation and questioning, creating an unexplained appeal to the viewer-something like a new interpretation or vision of the world. His work portfolio, rich in collaborations with prominent designers, big names in architecture and award-winning projects, sets him amongst the most sought-after emerging designers. Following the conceptual 1=2 chair, the Audi 2011 award-winning Field Lamp, the Ricochet (in collaboration with Ambroise Dudon) and several other successful projects, French designer Arnaud Lapierre sets off to create his first outdoors installation named ‘Ring’. This dynamic installation changes the relationships between individuals and the space they are going through. ‘Ring’ invites the visitor to play with the installation and space on two levels: The first level would be more related to experiencing a change in the urban areas: as temporal kinetics. The facets of each cube reflect the place and reconstruct a paradigm that breaks the reading of the course. At this stage, it is a visual intrusion; an acceleration that changes the perception of the visited place for this is a spatial rediscovery. 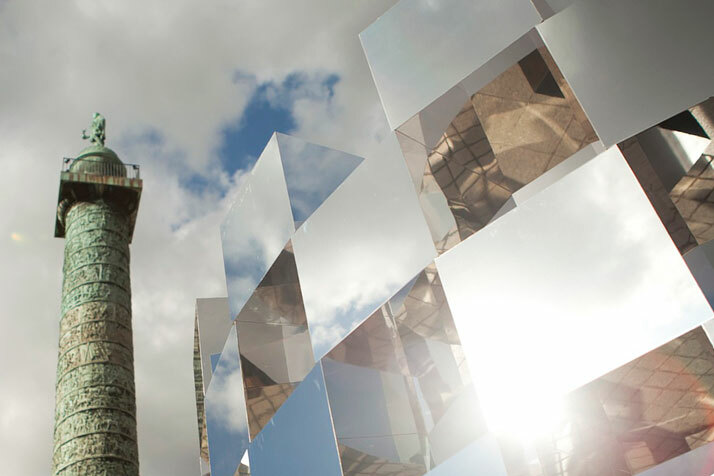 On the second level, the installation proposes to get inside, to see its own image multiplied to infinity, which collides with urban detail. It is now a place outside time and outside spatiality, in total rupture with the outside principle. Now, the vision is more intimate. 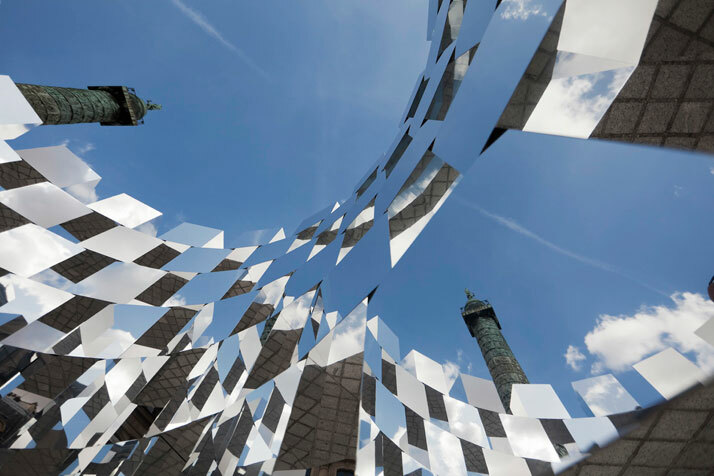 Although the installation has now been removed from the Vendome Square in Paris, it will be re-installed at the Paul Ricard circuit in Castellet, as part of an event organized by Audi. It will also be hosted by several art fairs in Europe for viewings and will eventually be put up for sale.